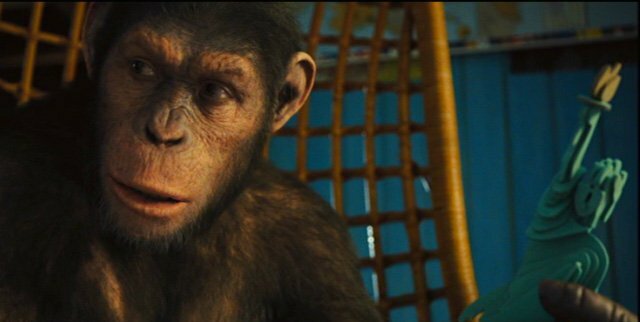 When Rise of the Planet of the Apes hit theaters in 2011, it was intended a fresh start for the fan-favorite sci-fi series, but there were plenty of Easter eggs and callbacks to the original films, ranging from a Statue of Liberty toy and a reference to the Icarus spaceship going missing, to direct quotes from the original film being used. As the series has progressed, the new films have forged their own identity, telling the stories of the forming of the titular planet and all-new ones not found in the original mythology. On the set of the third film in the series, War for the Planet of the Apes, producer Dylan Clark opened up about their referencing of the series and whether they actively think of ways to pay homage to what came before. Though we can’t say for certain (this is guessing based on things seen and heard while on our set visit), perhaps the new War for the Planet of the Apes will reference the second film in the original franchise, Beneath the Planet of the Apes, due to one key plot point: the return of the Simian Flu. “The virus is having a rebirth and is attacking the humans in another way too,” star Andy Serkis told us. You can find out more about the film and read our full report from the set of War for the Planet of the Apes by clicking here.